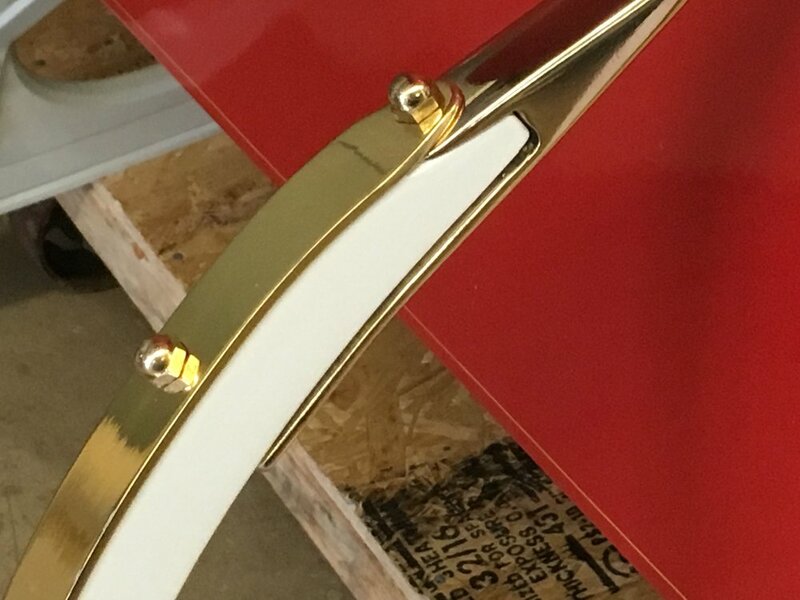 Built in the mid-1980's this Cutter features a solid brass rein rail, runner leading edges, stylish runner to body connectors and side strips. 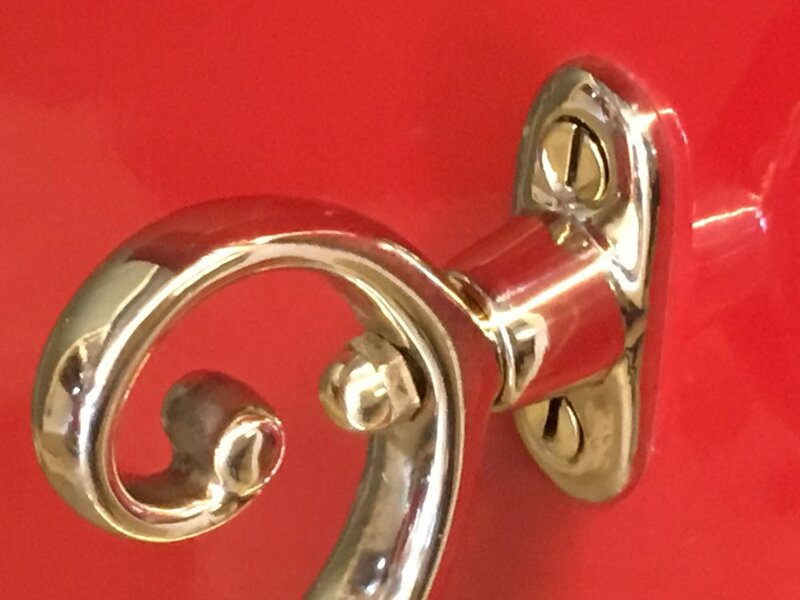 All brass is buffed and lacquer coated to retain its beauty. 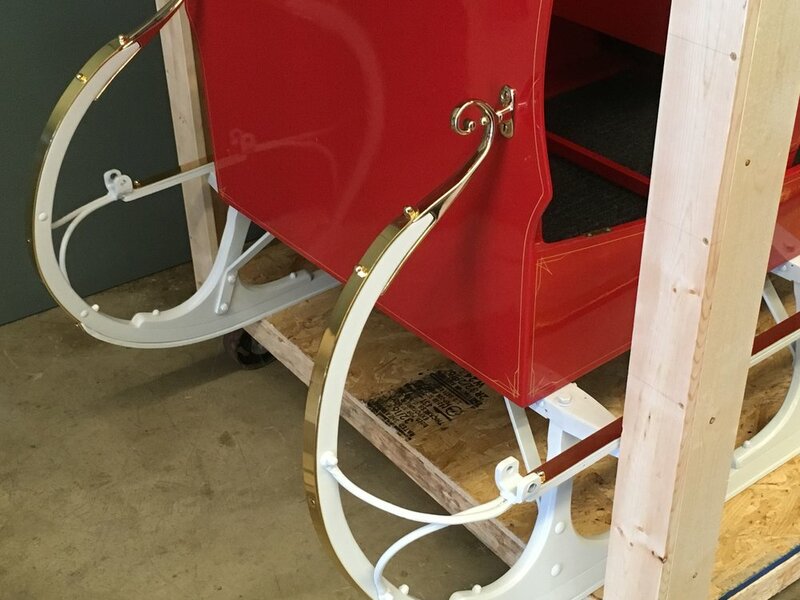 This sleigh is restored with a white running gear. The body has beautiful hand pinstriping. The black naugahyde upholstery is in perfect condition. 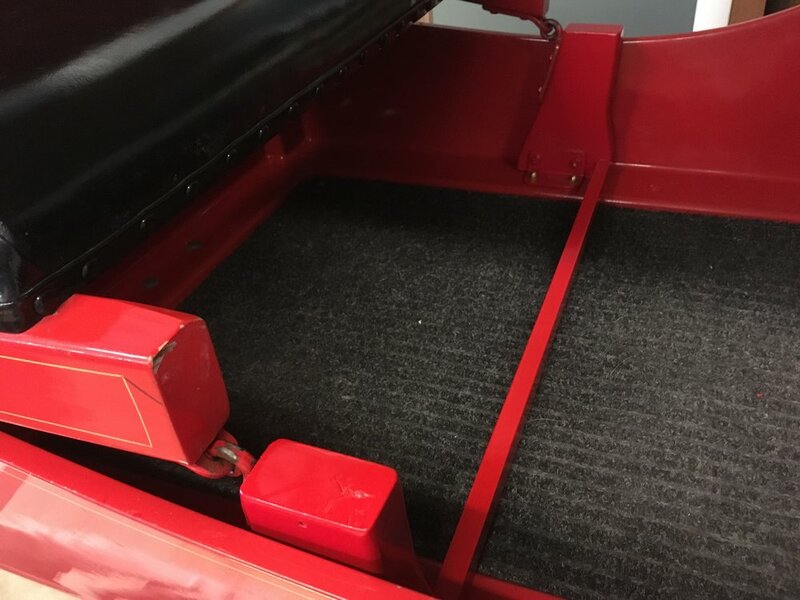 Under the seat is a storage compartment. 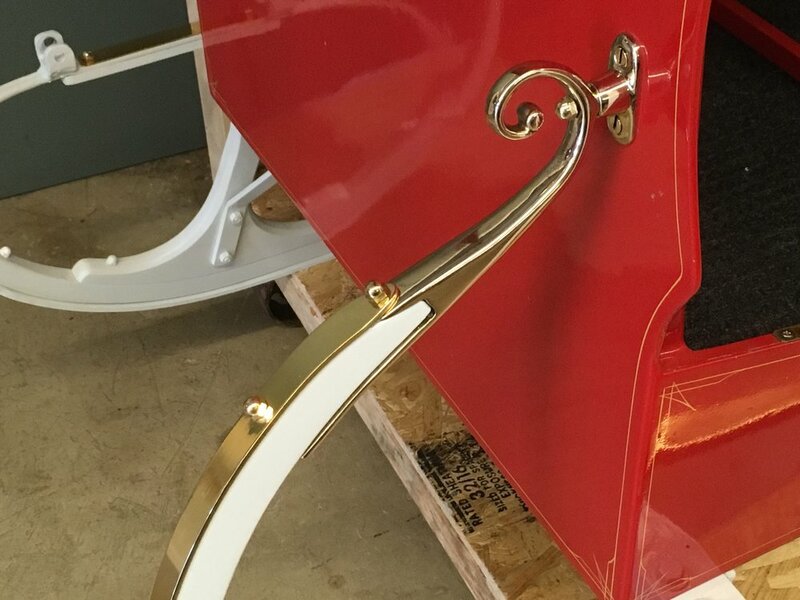 These sleighs are built with the commercial trade in mind and hold up incredibly well. The jump seat folds up or down to accommodate entry to the main seat while providing a perch for the driver. Two people can sit on the jump seat and two in the main seat making a total of four passengers at one time.